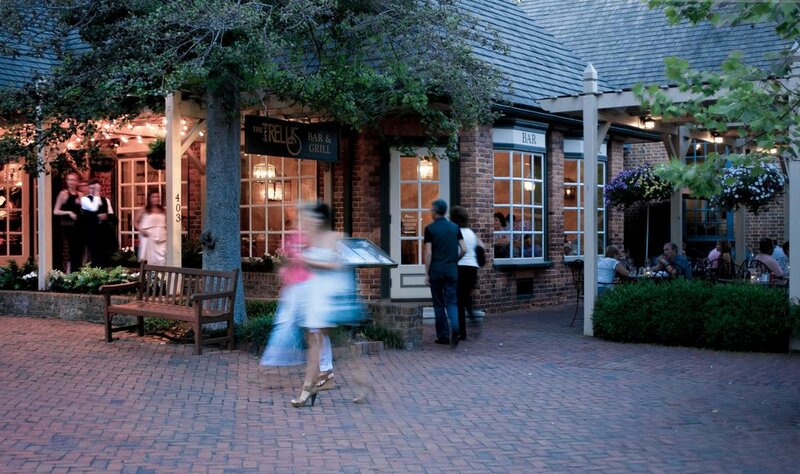 The Trellis Bar & Grill is located in the heart of Colonial Williamsburg, with good reason. 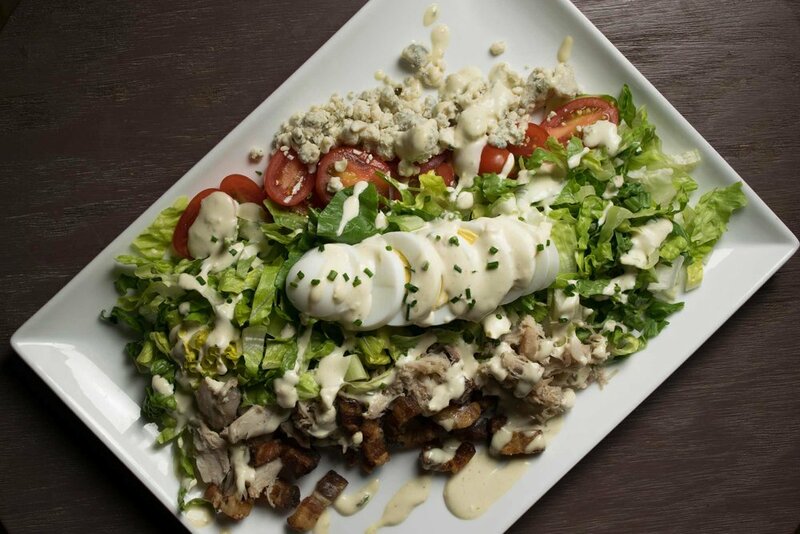 Chef David Everett has created bright and exciting menu selections with something to please everyone. You’ll always find an eclectic mix of people at The Trellis Bar and Grill—hard-working Williamsburg residents relaxing to jazz on the patio, a young William & Mary couple enjoying a romantic date, a family from out-of-state pining for a burger and Williamsburg Alewerks after a day of sight seeing, to name a few. No matter who you are or where you are from, The Trellis Bar and Grill invites you inside with its airy and garden-inspired atmosphere. Chef Everett picks the highest quality ingredients, focusing on local products raised responsibly by small scale artisan farmers, as the basis for The Trellis Bar & Grill’s seasonal menus. Whether you are sipping a hand-crafted cocktail at a high-top table in the bar or savoring dinner al fresco under our famous trellis, you’ll love your time with us. We can’t wait to see you! 403 W. Duke of Gloucester St. If you appreciate the dedication to a finely appointed bar, craft cocktails, craft beers and world class wines look no further than The Trellis Bar and Grill. We feature an impressive collection of one of the region’s largest Bourbon and Whiskeys selections. Our bar is arguably the region’s best place to go for hand crafted cocktails. We are dedicated to working with fresh, all natural, regional ingredients. We use house-infused liquors, house-made syrups and mixers in all of our signature drinks. We offer eight taps of craft brewed beers, many of which are local and change with the seasons. Our award winning wine list is both extensive as well as prestigious in its depth and varieties and many of these are offered by the glass. The wine list consists of several hundred selections from all over the world, though it concentrates on the finest locally and nationally produced products. Reservations are strongly recommended for this day. Please call 757-229-8610 to reserve your table today. We will be serving our All Day Dining Menu with the addition of Chef’s Brunch Specials from 10am-3pm. Our patio as re-opened for the season. Join us daily, weather permitting, on our patio for Lunch or Dinner. The Trellis Bar & Grill, located in the heart of Colonial Williamsburg, is an excellent venue for private dining and special events. We have the flexibility to handle groups of diverse sizes - at various times of the day and evening. Entertain guests on the trellised outdoor patio while taking in the sights of Duke of Gloucester Street, or tuck yourself away in our spectacular "Private Dining Room" a gorgeous table that seats up to fourteen, hidden in plain sight in the restaurant's converted wine vault. No matter the occasion, we have options that will perfectly suit your needs. To learn more about private dining or hosting a special event, please contact our General Manager, Susan Cicero, via email (scicero@thetrellis.com) or telephone 757.229.8610.